Technolex Translation Studio is to participate in the LocWorld38 conference which will be held on the 17–19 of October, 2018 in Seattle, USA. The agency will be represented by its CEO Igor Marach and the project manager Maria Malykhina. The final chord of the ELIA’s Networking Days has been played, and we are resting with our sweet memories about this outstanding event. During four years, Technolex has been a member of the Industry Linguistic Association (ELIA), which provides ample cooperation opportunities for the international translation services market players. 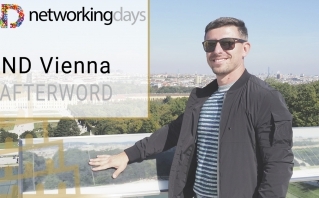 The already-legendary ELIA’s Networking Days conference unites hundreds of companies interested in new business cooperation opportunities and expanding their business contact network. 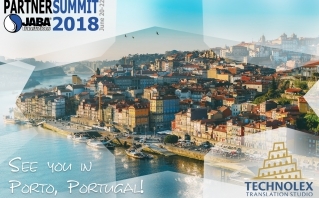 June 20–22, 2018 the city of Porto will open its doors for JABA Partner Summit which Technolex is going to attend. Technolex will be represented by its CEO Igor Marach. This event is a great chance to discover new partnership opportunities and actual tendencies of translation market. On June 6-8, one of the largest and most significant events for translation and localization professionals, the LocWorld 37 conference, was held in Warsaw. LocWorld conferences are emblematic networking events that are held 3 times a year. Every year, a theme is selected in accordance with the most relevant trends in the industry. As a company that keeps pace with the times, Technolex closely monitors the main tendencies within the industry as well as global social trends; therefore, it is a frequent visitor to the LocWorld events. LocWorld 37 was no exception. Here is what we took away from our visit: 2018 is the year of "Digital Transformation".